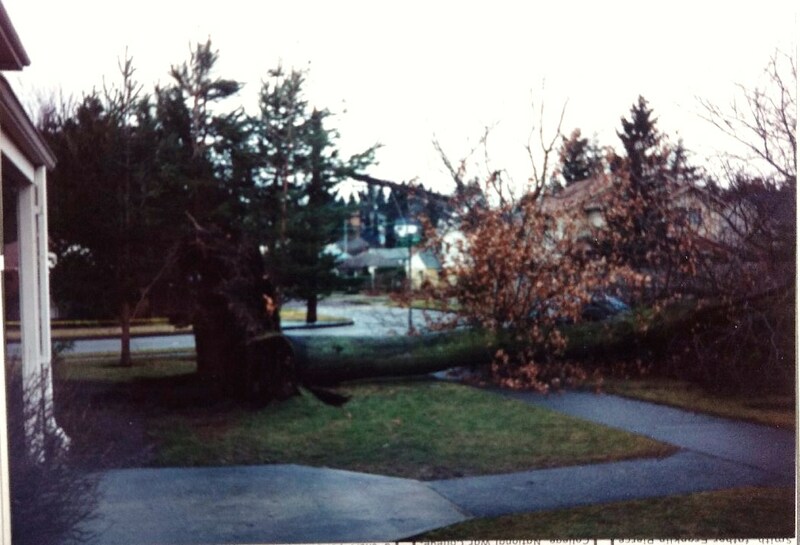 Aftermath of the Inaugural Day Storm of January 20, 1993. Looking west across NE 77th Street we see the tree which fell and which may have dragged down the electrical wires with it. Photo by Valarie.